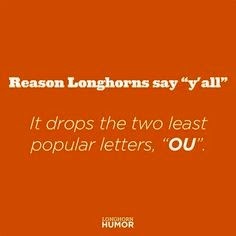 But when I do it's Texas vs OU weekend!! We might have not looked great the last few all games, but dammit we will beat OU! !